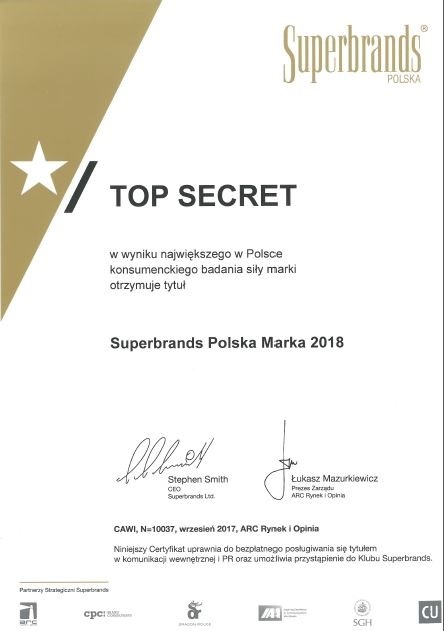 Top Secret was awarded the title of SUPERPRODUKT in the 12th competition of the Świat Kobiety monthly – category FASHION and STYLE / CLOTHING. 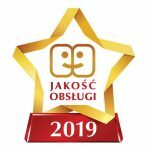 The brand Top Secret was awarded the title of Service Quality Star 2019. Consumers for the twelfth time chose the most friendly companies in Poland, for which customer satisfaction is one of the superior values. 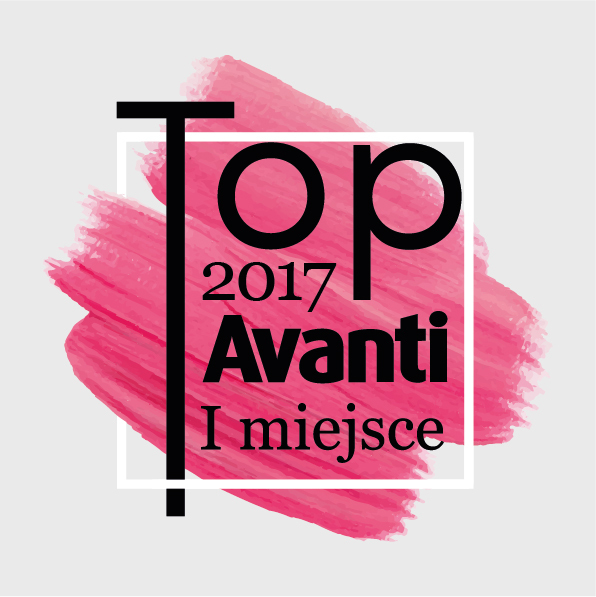 The brand Top Secret was among the laureates of the plebiscite “Top Avanti 2017”. It took the 1st place in the category: Clothing for the collection Autumn/Winter 2017. 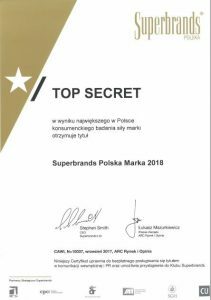 The brand Top Secret was awarded the prize Superbrands 2018 as a result of the largest consumer brand research in Poland. “Fashion Excellence” by the magazine “Twój Styl”. The brand Top Secret was awarded the prize “Fashion Excellence by Twój Styl” – in the category: Polish popular company for the collection AUTUMN/WINTER 2017. 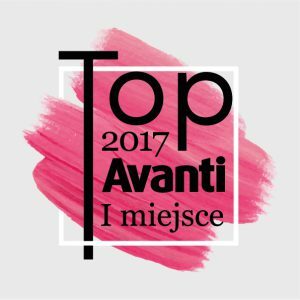 The brand Top Secret was among the laureates of the plebiscite “Top Avanti 2016”. It took the 2nd place in the category: Clothing for the collection Autumn/Winter 2016. “Gazelles of Business”. 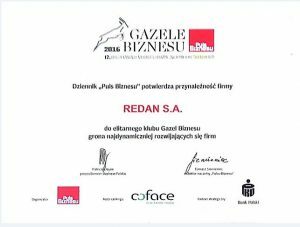 In 2017, Redan S.A. was recognized in the ranking “Gazelles of Business” among the most dynamically developing companies according to the daily newspaper “Puls Biznesu”. “Fashion Excellence” by the magazine “Twój Styl”. In 2014, the brand Top Secret was awarded the prize “Fashion Excellence by Twój Styl” for the third time – in the category: Polish popular company for the collection AUTUMN/WINTER 2014. For the fifth time, the brand Top Secret was awarded the QUALITY SERVICE EMBLEM. 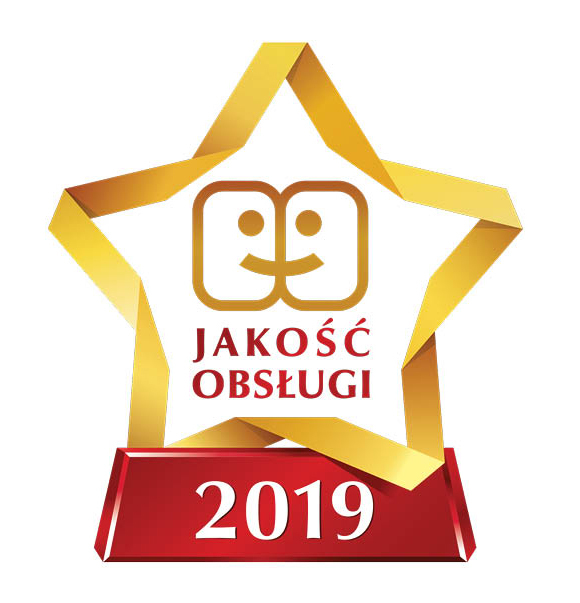 The title is awarded by consumers to 100 MOST FRIENDLY COMPANIES IN POLAND. In the fifth edition of the Quality Service Programme, the brand Top Secret became the leader in the category “Clothing” and achieved the quality service ratio of 68.2%, while getting ahead of the competitors’ brands C&A and KappAhl. “Star in Quality Service 2012”. For the following time, the stores of the brand Top Secret were prized for quality service. “Joy Trendy 2011”. The prize was awarded for the timeless colour and design of the coat of the collection under the brand Troll Spring 2011. “Interaktor 2011”. Redan was awarded a prize for its activity on the social portal facebook. “Quality Service 2010”. In 2010, the stores of the brand Top Secret were awarded the emblem “Quality Service 2010” for the third time. “Fashion Excellence” by the magazine “Twój Styl”. In 2010, the brand Top Secret received its second main prize “Fashion Excellence by Twój Styl” in the category: Polish popular company – evening clothing. “Quality Service 2009”. In 2009, the stores of the brand Top Secret received the emblem “Quality Service 2009” for the second time in a row and took3rd prize in the sector “Clothing, footwear and accessories” in the category “Clothing for all”. “Fashion Excellence” by the magazine “Twój Styl”. In 2009, the brand Top Secret received the main prize “Fashion Excellence 2009 by Twój Styl” in the category: Polish popular company – day clothing. The prize was awarded for a cardigan. In the same competition, the brand Top Secret was nominated twice to the prize “Fashion Excellence 2009”. One distinction was awarded for a tunic, while the other one was awarded for the prized sweater. “Quality Service 2008”. In 2008, the stores of Top Secret took 2nd place in the ranking “Quality Service, in the sector “Clothing, footwear and accessories” in the category “Clothing for all”. The brand Top Secret took 2nd place in the plebiscite “Season Hit” organized by the Internet magazine “Co Gdzie Za Ile”. “Webstar 2008”. The Internet store of Top Secret was awarded the prize “Webstar” which is awarded by the Internet users in the competition called “Webstarfestival 2008” in the category: Website. “Good Company”. 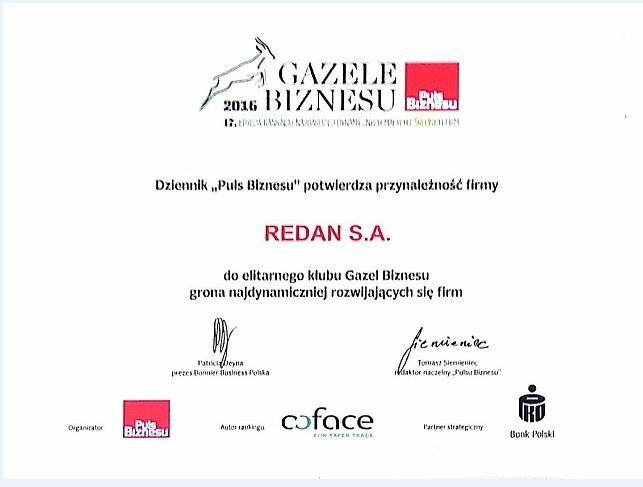 In 2004, Redan S.A. received the title “Good Company” in the prestigious ranking of the daily newspaper “Rzeczpospolita” for the most dynamically developing companies in Poland – of the Club of Business Gazelles organized by the daily newspaper “Puls Biznesu”. “Eagles by Rzeczpospolita”. In 2003, Redan S.A. took 3rd place in the Voivodeship of Łódź in the ranking “Eagles by Rzeczpospolita” for the most dynamically developing and most effectively managed companies according to the daily newspaper “Rzeczpospolita”. “Gazelles of Business”. In the years 2003-2004, the Company joined the elite group of the most dynamically developing companies in Poland – the Club of Business Gazelles organized by the daily newspaper “Puls Biznesu”. “Gazelles of Business”. In 2002, the Company took1st place among domestic clothing companies in the ranking “Gazelles of Business” for the most dynamic companies according to the daily newspaper “Puls Biznesu”.